K Group brings vast experience to revenue building endeavors – both as an outside consultant and as a senior marketing and business development executive. Practice leader, Jerry Kackley, led the planning and development function for three different corporations during his business career including Frito Lay (during the highest growth period in company history), North American Van Lines (during the move to trucking deregulation in the early 1980s) and Marriott Corporation (in the late 1980’s as it dramatically expanded the hotel franchise and experienced unprecedented corporate realignment). 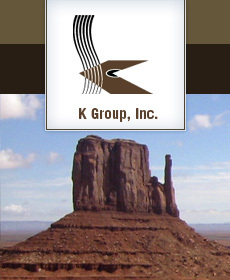 As an outside consultant, K Group worked on a retainer basis with four large, successful newspaper companies (San Diego Union Tribune, San Francisco Newspaper Agency, The Arizona Republic, and The Indianapolis Star with direct revenue development responsibility. This work resulted in just over $50 million in new revenue streams at acceptable to high profit margins.